The world of the artists is an unknown territory. The relationship between art and society is intriguing. The mysteries surrounding the artists are equally enigmatic. 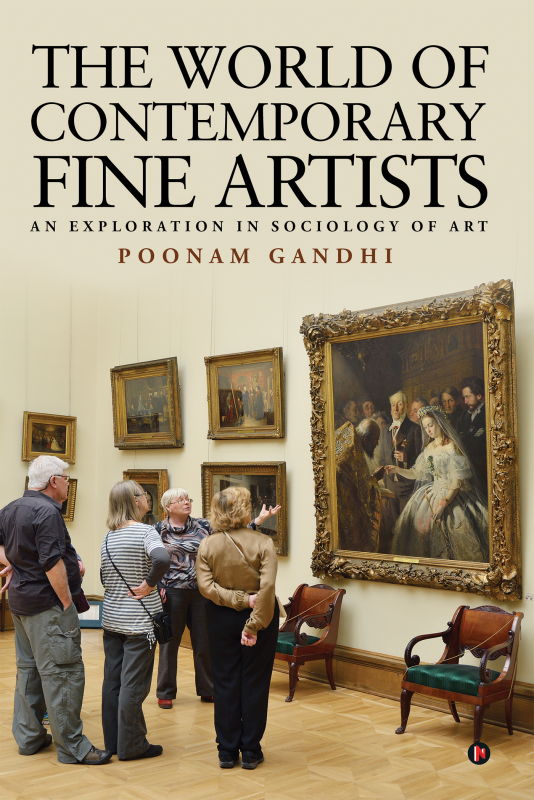 This book explores the world of the fine artists through a sociological lens. Do family, friends and teachers play any role in the artists’ lives? Are art galleries sabotaging artists’ careers? Is the media responsible for making or breaking an artist’s reputation? These and many such questions have been answered through extensive research, analysis of data and in depth conversations with seventy fine artists of India including the renowned artist, late Padma Vibhushan awardee K.G. Subramanyan. Social Production approach proposed by Howard Becker is employed to investigate into the art world. Poonam Gandhi is a sociologist who is currently an Associate Professor in the School of Liberal Education at FLAME University in Pune. She has a doctorate degree in Sociology and her doctoral research is in the field of sociology of art. She also holds a diploma in Human Resource Management. She is passionate about art and teaching. Her teaching career spans 19 years. She has to her credit 11 research papers published in national and international journals and 5 chapters in edited books. Her areas of interest are sociology of art and culture, sociology of gender, sociology of family and social gerontology.